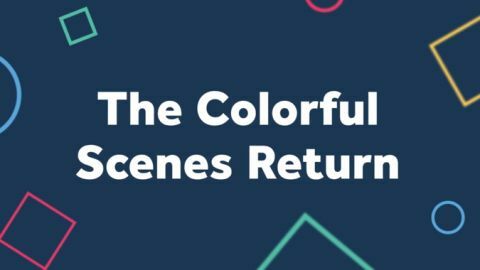 Your Facebook and Instagram feeds are jam-packed with video and for good reason — people love it. Back in 2016, TechCrunch reported that we watch about 100 million hours of Facebook video every single day and studies show that 59% of executives would rather watch a video than read a text on the same topic. It was only a matter of time before LinkedIn joined the fray and introduced native video to their platform. On the 22nd of August, 2017, they finally allowed users to upload videos directly to the feed. Up until that point, we could embed YouTube videos in posts and share links, but neither was great for engagement. However, the LinkedIn team is now claiming that the new video posts get shared 20 times more often than regular posts. What this means is that if your audience hangs out on LinkedIn, it’s time to add video to your marketing strategy. Let’s take a look at how LinkedIn video works and explore some of the different ways to use it. How does LinkedIn native video work? LinkedIn native video auto-plays without sound when you scroll through your feed, just like a video on Facebook. When the feature first went live it was only available on mobile, but you can now create video updates directly from your desktop. If this follows the same pattern as Facebook video, it’s highly likely that LinkedIn’s algorithm will start favoring native videos and will begin to penalize embedded links. Uploading a video to LinkedIn is an incredibly simple and intuitive two-step process. Upload your video, add the copy, hit post, and you’re done. The bigger question, of course, is how to upload a video that makes the casual scroller stop and pay attention. Step one of making a great video is meeting the platform’s specifications. LinkedIn videos can run between 3 seconds and 10 minutes, though the suggested length for maximum engagement sits between 30 seconds and 5 minutes. Videos can be either landscape or portrait orientation and the max file size is 5GB. 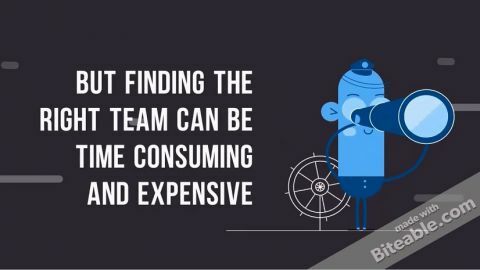 Once you’ve nailed the specs, you’ve got to make sure your video meets certain key criteria for maximum effect. Start with a BANG. You’ve only got a few seconds to grab a viewers’ attention, so use attractive colors and make a bold entrance. Keep it short. 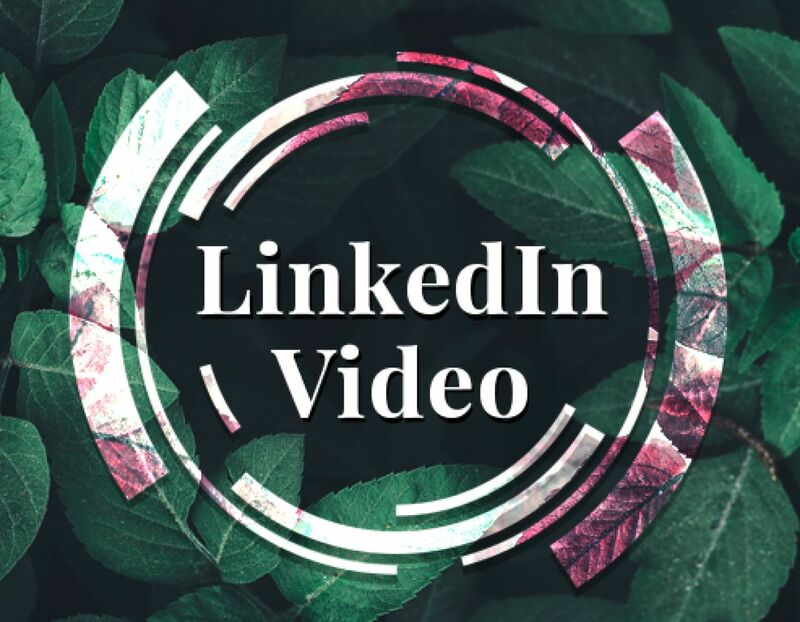 While we don’t have much data about viewing habits yet, we know that LinkedIn users tend to be busy, so create short, concise videos that get straight to the point. Think about adding captions. LinkedIn hasn’t introduced native captions yet, but you can use your video editing software to add them. Approximately 85% of Facebook videos are watched without sound and LinkedIn won’t be that different, so adding captions will help scrollers see what’s going on straight away. Be yourself. Video makes it easier to build a personal connection quickly. It allows our personality to come through and simulates a real-world chat. Don’t be afraid to make a quick video on your phone about something your network will enjoy — video is about connection, not perfection. We’ve discussed the specs and now you’re ready to get started on your first video. So what type of video should you make? What better way to tell your professional network a bit more about who you are and what you do than making a video? 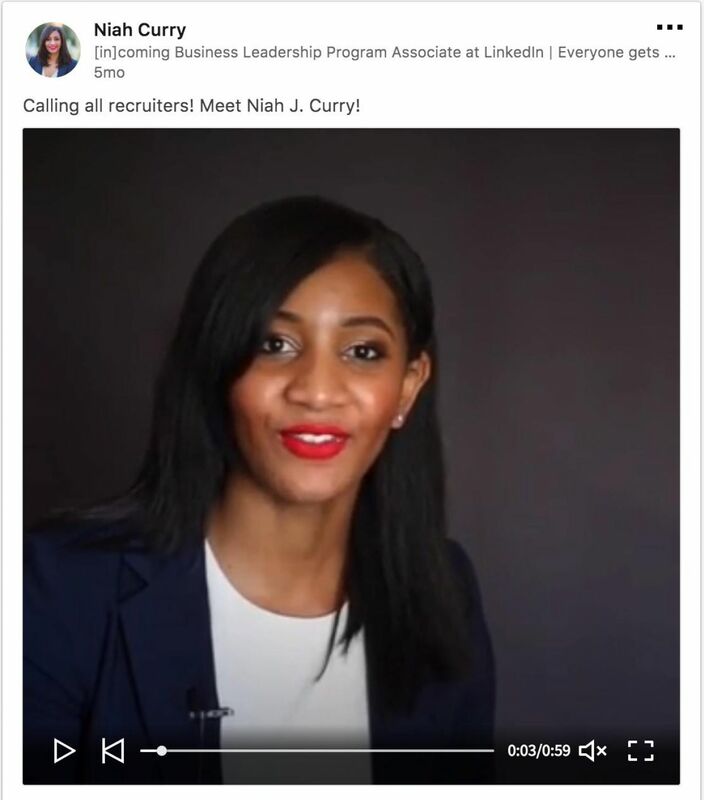 You can make a video intro like Niah Curry and share a bit more about what you do and what you’re looking for, or you can flip the format and use a video to introduce yourself and your team to potential hires or buyers. Make a couple of explainer videos that tell people more about what you do and what you stand for. Tell us about your business, share a story about a specific product, or show a product in action. The idea that sharing free information can help grow a business isn’t new and it still holds true. 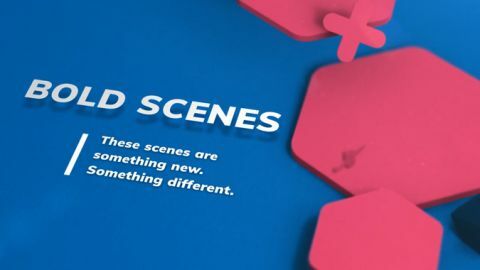 Animator Anneke Camstra used Biteable to create short, info-packed videos she shared on her LinkedIn page that helped her make new connections and led to work opportunities and community growth. Your network is struggling with different problems. Pick one and make a quick video that helps to solve it. Do particular questions that are relevant to your audience come up over and over again? Why not run a LinkedIn exclusive Q&A series and answer people’s questions in short, native LinkedIn videos? Regardless of what type of video you decide to make, make sure it’s designed to reach the optimal number of people. 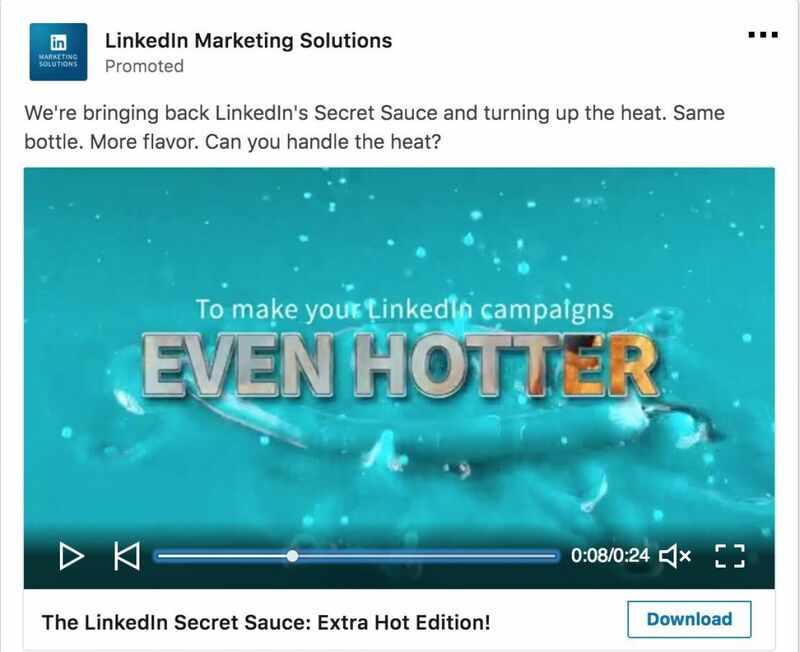 After spending months in a closed test of their ad system with a few cherry-picked advertisers, LinkedIn finally launched video ads at the end of March 2018. We scrolled through our LinkedIn feeds looking for an example and found one from LinkedIn themselves. The video ad follows the same format as a sponsored post but instead of a still image, we get a video. So how do the ads work? In terms of the back-end — audience targeting, campaign objectives, and targets — they work in the same way as promoted posts. Like LinkedIn’s native video, ads autoplay with the sound off, making bright colors, a captivating start and subtitles or captions a crucial and effective way to grab attention. If your ideal audience hangs out on LinkedIn, this is the perfect opportunity to experiment with a bright new ad format before your competitors get on board. Biteable is a handy tool for creating engaging video ads quickly and without any expensive equipment or actors. 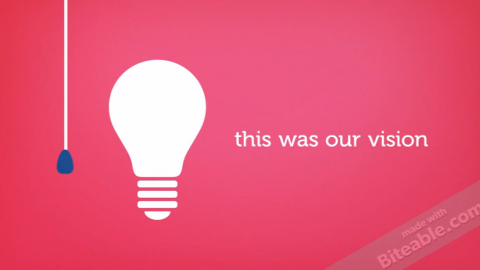 Our pre-made video templates make it easy to dive straight in. 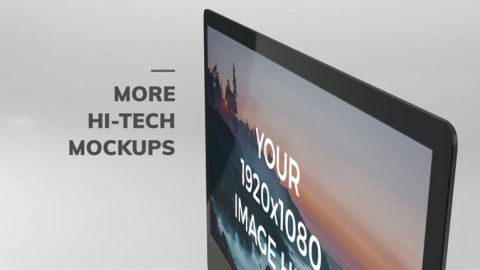 An intuitive, easy-to-use interface and the ability to upload custom footage and pictures makes Biteable a very effective partner in the video ad game. It’s free to sign up and give it a try. Native video and video ads are still very new to LinkedIn, so we don’t have the sort of best practice rules that have developed across other platforms. 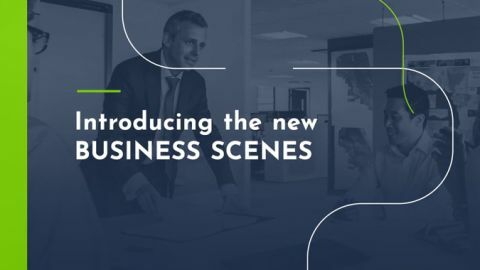 It’s an area rife for experimentation as the traditionally business-focused platform introduces a feature that has the potential to take it into the personal space. 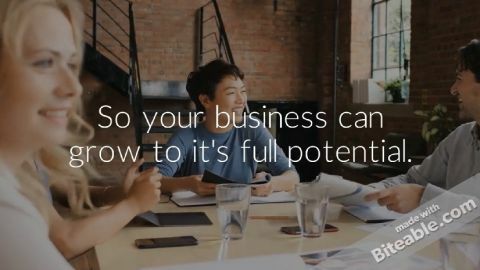 This makes right now the perfect time to experiment with LinkedIn native video and find out what it can do for you and your business.